We thought there may be a decent turnout for this game, but the fact that there were spaces in the car park at 2:45pm told us differently. 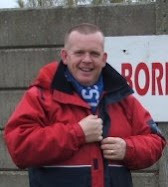 As it was there were about 35-40 in attendance, and not too not many of those were from Gornal. Paid our £3 to get in and £1 for a programme - Kev headed straight for the food bar - he'd had no dinner. He opted for a couple of sausage rolls, but didn't seem over-enamoured by them. Have to say though, they didn't take long to disappear! 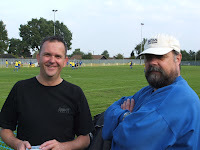 Met "Stickypalms" at the ground - Sticky is the author/editor/writer of the excellent blog "The Groundhopper"
"Sticky" likes his footie - you can tell that from his blog .. he arrived at the Stag Ground fresh from watching his son playing in a youth game. 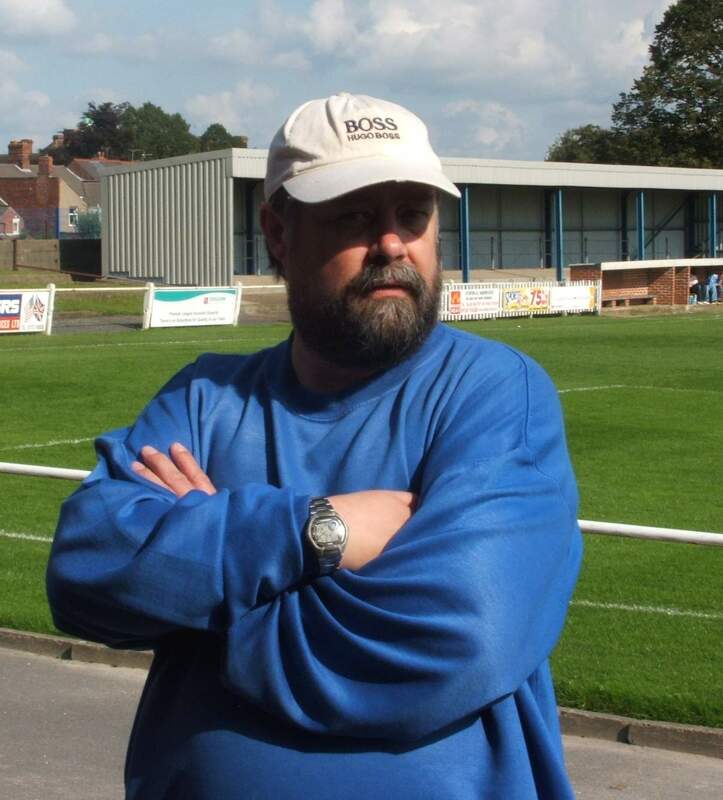 How times change - when my lad played youth footie, the games always kicked off at 3pm ( 2pm in winter), and the opportunity to watch an adult game as well my lads game was never there....the times I've opted to go to Field Mill rather than go to watch my son play!!! 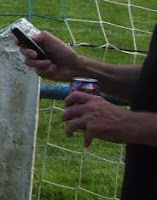 Anyway, Sticky did give us the "strange moment" of the day ... actually taking a photograph of a can of Vimto...surreal !! That was his second can, I caught him on a pic earlier with phone in one hand and Vimto in the other. The second half of the game saw the visitors up the pace a little, and the Kimberley keeper was called into action on several occasions. He could do nothing though about the opening goal on 69. 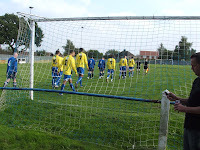 A shot at goal was blocked and when it was played back in the box to Nicholls, he calmly walked the ball around the keeper while the home defence stood appealing for an offside flag that never materialised. great to meet you and 'Daft Lad.' Game was awful but company gr8. Maybe see you at Rolls on Wednesday. Pleasure to meet you at last..